This post will explain an important DMV form to holders of Uninsured Motorist insurance: the SR-19C. 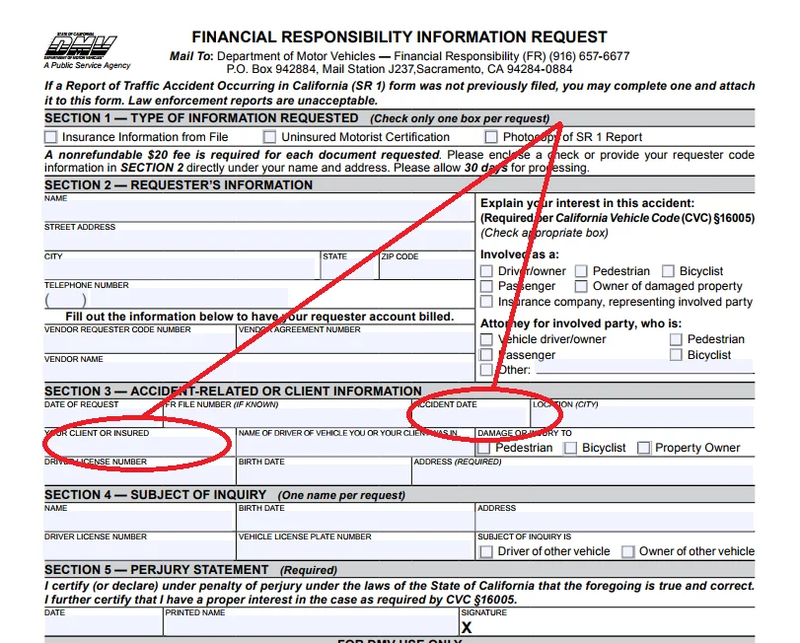 Also known as a Financial Responsibility Information Request, this form is filed with the DMV in cases involving an accident with an uninsured motorist. 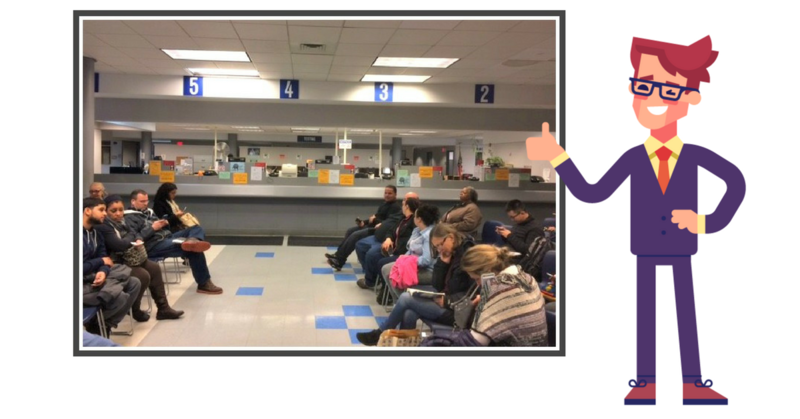 You may file an SR-19C with the DMV after the other party has filed their SR-1 form (which must be filed within ten days of an accident). Unlike the SR-1 form, which every driver who has been in a vehicle accident in California leading to death, injury, or property damage over $1,000 must file with the DMV, the SR-19C must only be filed in cases where the other party lacked proper insurance coverage. Uninsured motorists are more common than you might think. According to the Insurance Information Institute, nearly 15% of California drivers in 2012 were uninsured. In some other states, it’s even higher. This is exactly why the SR-1 form exists: to establish proof of liability in the event of an accident, and alert the DMV when someone was driving uninsured. The SR-19C form exists for the same reason, but its purpose is slightly different. This form allows you to request a copy of either the other driver’s SR-1, the other driver’s insurance information, or the other driver’s Uninsured Motorist Certification (an official DMV certification that the other driver was uninsured). The SR-19C form allows you to provide evidence that you were in an accident with an uninsured motorist, so you can file an uninsured motorist (UM) claim. UM coverage allows you to file a claim with your own insurance company if you were in an accident in which the at-fault driver was uninsured. UM insurance is optional in the state of California, but is definitely a worthwhile investment. If you have UM insurance, your insurance company will require you to file an SR-19C with the DMV before they grant your UM claim, to provide proof that the other driver was, in fact, uninsured. Not just anyone can file an SR-19C. To do so, you must have some direct involvement with the accident, either as a victim (or owner of damaged property), an insurance provider, or an attorney for someone involved. Like the SR-1, the SR-19C is simple to complete. You provide your own contact information, as well as information about the accident, including when and where it occurred, and how you were involved. Finally, you must provide information about the subject of inquiry, or the person on whom you are seeking insurance information. To process each requested document, there is a $20 fee, and if you are making multiple requests, you must file separate SR-19C forms. The documents may also take up to 30 days to process. For more information, click here to fill out or print the SR-19C form. The SR-19C is a critically important from for holders of UM insurance when the other driver was at fault and uninsured. In these cases, the SR-19C is often the only difference between receiving insurance reimbursement for your injuries, and receiving nothing at all.